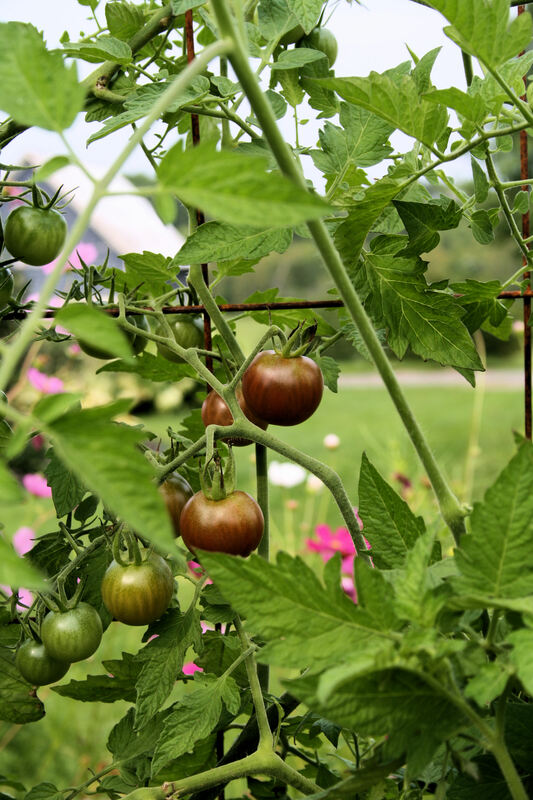 I HAVE ALWAYS CAGED my tomatoes, but many experts agree that staking–and regularly pruning and tying the staked plants as they grow–is the most space-efficient and also most hygienic tactic of all, helping manage the potential for disease while yielding plenty of fruit. 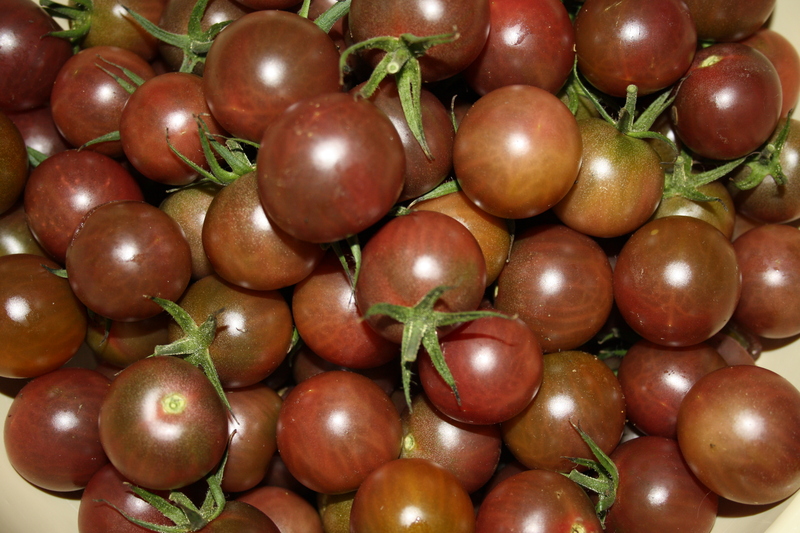 With tomato-transplant time just ahead here, I’ve been studying up with experts like Tom Stearns (that’s his High Mowing Organic Seeds tomato trial field, above) on how to stake and prune tomatoes, and other tips for producing a healthy, bountiful crop. 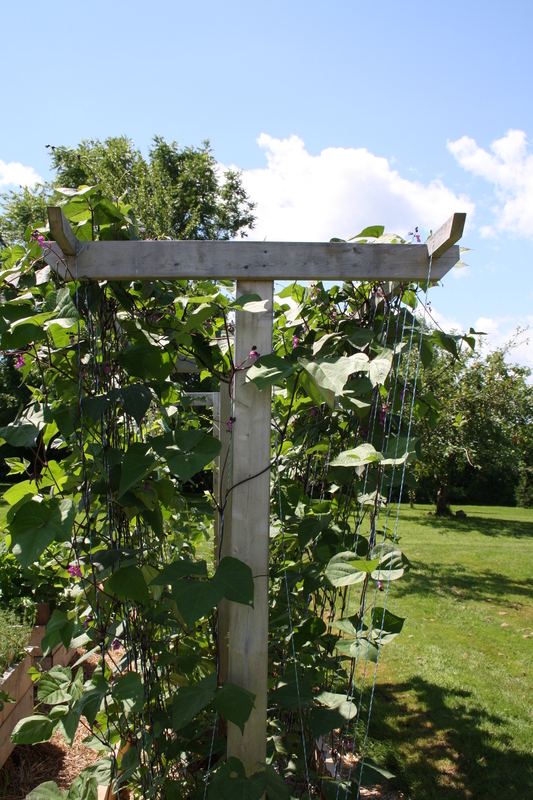 Staked plants will ripen faster crops of generally larger fruit. Stakes must be at least 1 inch thick and 6 feet high, inserted a foot into the ground. Adding supporting twine between stakes (as in the photo above) helps add stability; some gardeners lash horizontal cross-pieces of bamboo between stakes instead. 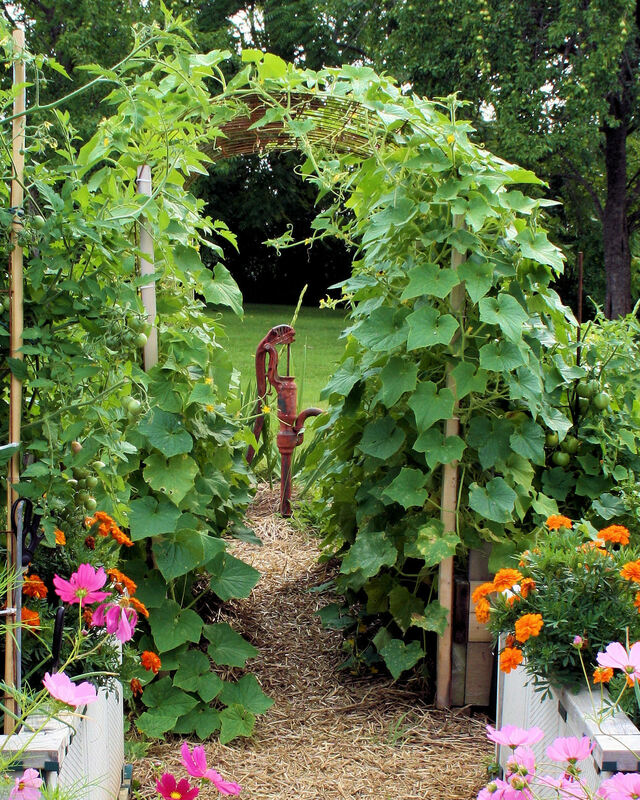 Either way, as the plant grows you continue to tie it to the support with twine or twist-ties. Remember: Staked plants require a commitment to ongoing pruning, keeping the plant to one or two main stems of vine-like, not bush, habit. All small suckers that develop in the crotches between the leaves and the main stem must be removed.